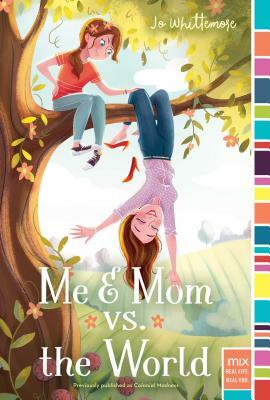 Formerly titled Colonial Madness, a mother-daughter duo take part in a bizarre family challenge in hopes of winning a fortune in this “light, fun read” (Booklist) that’s Gilmore Girls meets The Westing Game! Tori Porter is best friends with her mom, and most of the time it’s awesome. Not many girls have a mom who’d take them to a graveyard for hide-and-seek or fill the bathtub with ice cream for the world’s biggest sundae. But as much as Tori loves having fun, she sometimes wishes her mom would act a little more her age. Like now. Thanks to her mom’s poor financial planning, they are in danger of losing their business and their home. But an unusual opportunity arises in the form of a bizarre contest run by an eccentric relative: Whoever can survive two weeks in the Archibald Family’s colonial manor will inherit the property. The catch? Contestants have to live as in colonial times: no modern conveniences, no outside help, and daily tests of their abilities to survive challenges of the time period. Tori thinks it’s the perfect answer to their debt problems, but she and her mom aren’t the only ones interested. The other family members seem to be much more prepared for the two weeks on the manor—and it doesn’t help that Mom doesn’t seem to be taking the contest seriously. Do they stand a chance? Jo Whittemore is the author of the tween humor series Confidentially Yours, as well as the novels Front Page Face-Off, Odd Girl In, and D is for Drama. She also penned The Silverskin Legacy fantasy trilogy. Jo currently lives in Austin, Texas, where she is an active member of the SCBWI (Society of Children’s Book Writers and Illustrators) and the Texas Sweethearts & Scoundrels. Jo lives off of chocolate and pizza. She would not have survived in colonial times.